New to the Keystone conference in 2018, Atlantic City FC has hired a development director Chris Ross. I had an opportunity to interview Ross about his new role. 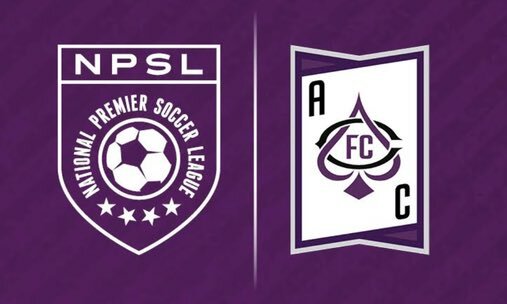 Atlantic City FC will be joining FC Monmouth as the new teams to begin play in the NPSL’s Keystone Conference this season. The team will be playing their home matches at Stockton University when the season kicks off on May ninth. While building the team is an important task ahead for Atlantic City FC, setting up the front office and brand is also of the utmost importance for a new soccer club. This is where new director of development Chris Ross comes in. 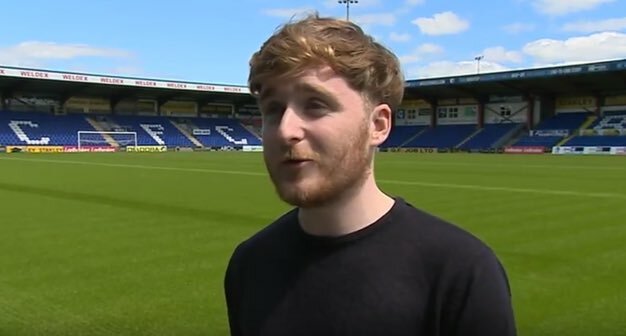 Ross has worked with teams including Ross County FC, Clyde FC and Kilmarnock FC. Ross’ travels will help him as he undertakes his newest challenge stateside. Ross was drawn by the new challenge of working stateside, but his interest doesn’t end there. Ross will wear quite a few hats as development director of Atlantic City FC as he will be responsible for club development, brand awareness and community relations. Ross will also be involved in the day to day operations involving players and staff operations. One of Ross’ goals is to use his role at the club to help with the regeneration of Atlantic City itself and the community as a whole. A club is nothing without the community and with an early understanding of this in the formative stages of Atlantic City FC, this can pave the way for proper community partnerships as things grow, especially as the club looks for a soccer-specific stadium. The long-term plan is to renovate Surf Stadium, a 5,500 seat baseball stadium into a soccer-specific stadium with a goal of adding another key attraction in the heart of the city. But in the meantime, Atlantic City FC will be looking to fill the 2,500 seats at Stockton University. Atlantic City, which has been working hard on reviving itself to its former self and I feel we can really make an impact on those within Atlantic City’s limits. Not even just within a soccer context, instead we want to also consider how we can support people outside of soccer and involve people who would never have been involved in the game had it not been for a community initiative that supports and meets their needs. This is an important aspect that is sometimes overlooked in team building but the success of a sports team should have a direct correlation on community impact if done right. Another attraction of the NPSL is that teams such as the Jacksonville Armada and Miami United will raise the stature of the league while also enhancing the competition that can be found. In the unstable landscape of US Soccer, silver linings can be found and one of them is the shuffling of teams that can spawn new rivalries and mixing of teams that would never play each other under normal circumstances unless it’s US Open Cup play. Speaking of the landscape of US Soccer, where some see a headache, Ross sees an opportunity for change. With vectors for change being looked at around US Soccer Ross would like to share some of the approaches that he has seen while being involved with the professional game in the United Kingdom. He isn’t concerned that this time will have adverse effects on Atlantic City FC because the focus is on making a sustainable club that is here for the long haul. The key is support from the Atlantic City community, a support that transcends leagues because that’s how to build a vibrant local club. This team has the potential to be a strong presence in the community but it is up to the front office to make sure that it is done right. Atlantic City is in a wonderful location to capitalize not only off of the talent in Jersey but it is also close enough to tap into partnerships with the Pennsylvania and New York areas for their alumni to further their careers. Atlantic City FC believes that they can create a pathway that supports local talent and now they have the means to make this vision a reality. Now the ball is in their court to put the wheels in motion.